My car, is utterly insane! Had a little line up a few times on the A41 with my mate in his 335i, think it’s a 3litre twin turbo with 300bhp.. Basically he didn’t get anywhere near was just pulling and pulling and pulling.. It’s awesome. So, tell me, how much will stage 2 cost me roughly and how much more BHP will I get?! you told me this was going to happen………………….. I wanted to let you know how delighted I am driving my A3 now. The DSG is now instant, smooth and predictable. The engine springs into life as it should. And my aircon no longer honks like a slugs backside. I will be back with my car to fix its other faults and eventually to tune it up. I’ll also suggest to Mrs W she brings her A3 to you too. I have been coming to vagtech for two years now and I am very pleased with how I and my car are treated. You get the same level of knowledge and professionalism as you would as main dealer, but at vagtech it more personalized and better value. 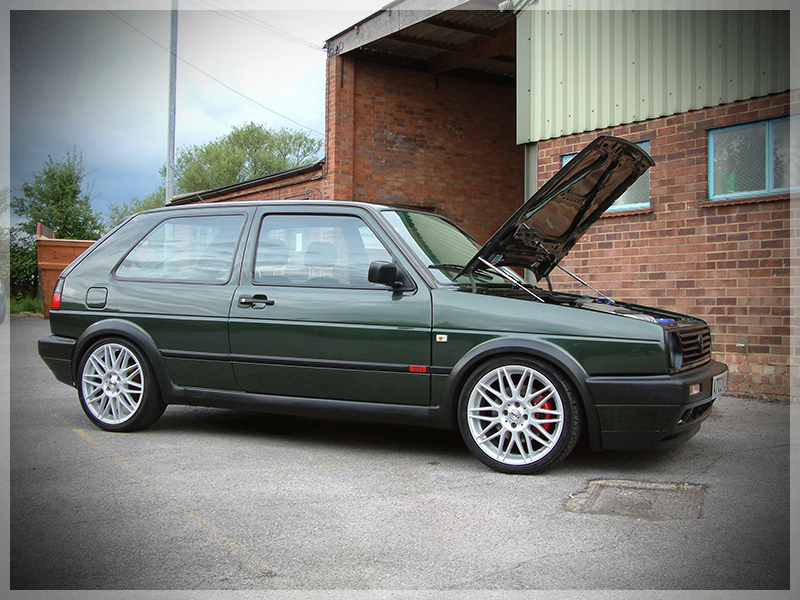 Just a quick email to say a HUGE thank you for getting my Golf back on the road so quickly. The work carried out was very reasonably priced and I am always happy with the service received. Thanks again. Hi Jon, Vic and Ben. After 5 years of bringing all my VWs to you, I wanted to say a big thanks for all your recent help, going that extra mile meant my car was ready for GTI International. See you there! Their friendly yet professional approach, combined with a wealth of knowledge makes the wrench of leaving your baby all the much easier. I have been a regular customer of Vagtech for over 2 years for both repair and modification to my car. It is extremely reassuring to know that your pride and joy is being looked after by genuine car enthusiasts and that their knowledge comes from many years of experience in the VAG scene. For honest, fast and experienced service I would definitely recommend Vagtech to anyone that cares about 1st class work for their vehicle. It has totally transformed the car and I am very happy with it. The quality of the workman ship and the customer service before, during the install and afterwards is second to none. Thank you Jon, Victoria and Ben. I came across Vagtech in 2007 by chance, as I wanted someone local to put a trial Revo map on my S3. I was immediately struck by their knowledge and experience, and Jon and the team have looked after the car ever since. I believe that one of the most important aspects of performance car ownership is having trust and faith in the people looking after it. Vagtech tick all the boxes for me here. Jon has advised and helped me get the car to a state that I’m happy with, and is always willing to spend time talking things through and advising on different options. The peace of mind that comes with knowing that I trust Jon and the team at Vagtech, means that all I have to worry about is finding the money to spend on it! Id just like to send out a quick thank you to you and the rest of your team in the help regarding my car, from my remap to servicing you guys have been fantastic, I must say coming from a customer service background myself you guys really do look after your clients, you’re always upfront and honest when it comes to work needed, prices are always reasonable and the coffee is great, timeframes are fantastic and you’re always generous in giving lifts anywhere or even lending out your car! These are just some of the reasons why I always will keep coming back to VagTech. Keep up the good work and I?ll see you in a few weeks for my next service. No job is too big or small for VagTech, everything is completed with the same high standard of work whether its a routine service or complete overhaul. Their knowledge and love for cars gives me complete faith and trust in leaving my pride and joy with them, knowing its in safe hands!! I started using Vagtech nearly 4 years ago after using another ‘specialist’ in the MK area and feeling disappointed with the standard and quality of service that I received. From my first visit to present I have never ceased to be so ‘at home’ with the excellent way that they have treated both myself and my wife when she takes her car in for it’s annual service. Not only is the technical and mechanical side of Vagtech’s business run to a very high standard but, rarely found today, their personal customer service is without any doubt quite exceptional. A new neighbour to whom I recommended Vagtech told me after her initial visit that for the first time ever she left the garage and never once felt that she’d been patronised or ‘ripped off’. That to me is the highest accolade. I live in the US, but keep a car for frequent returns to the UK. I can’t think of any other shop that would go the extra mile and make it so easy to keep the car looked after. I trust Jon completely with the car. He is an enthusiast and understands well what other enthusiasts want. His insight has been invaluable in getting issues resolved and keeping my car running as it should. His advice on modifications has resulted in a series of upgrades that are well suited to the car and add to the overall ownership experience. Jon helped me get a new engine. He has also fitted Milltek exhaust and Haldex controller as well as performance tyres to the car. 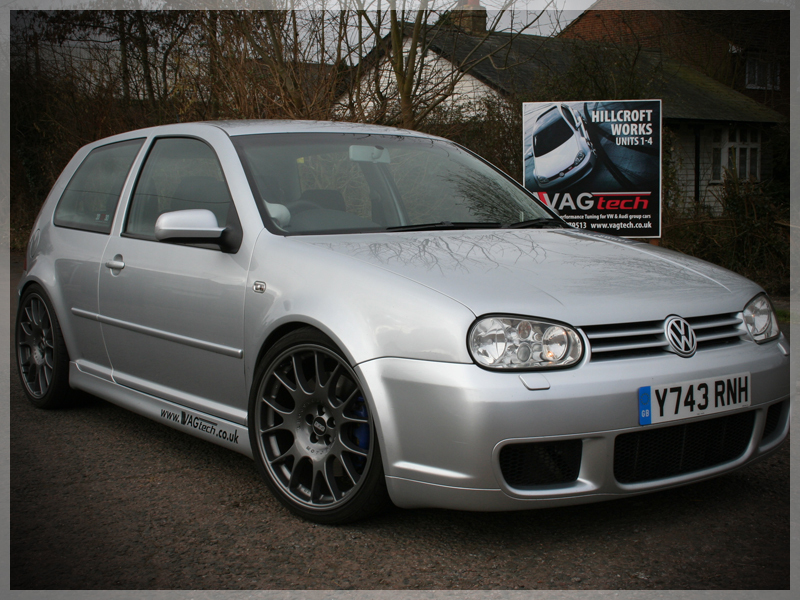 A special thanks to all at Vagtech for doing such a superb job installing the HGP 460 turbo kit on my 2003 MK4 R32. 1+ year on, I am still loving the car as it now has….not only outstanding performance but more importantly reliability. For those who do not know Vagtech, they are 100% hard working, honest and genuine people. Who are dedicated and passionate about their work on all VAG cars. Jon and Ben were very meticulous and thorough when working on my car, making sure that everything was in good correct working order before I picked her up for my 200+ mile journey home. Thank you Jon, Ben and Victoria keep up the good work guys! I’ve used Vagtech for a number of years and they’ve always done an excellent job. Even in the event of an issue beyond their control, like a faulty part, they go out of their way to ensure that it is rectified as quickly as possible. Great communication and customer service come as standard. Whether you are just after a service or a planning a modified monster, Vagtech are able to deliver with honest advice and pricing. Very professional, knowledgeable and friendly service plus I dont trust my car to just anyone. I’ve recently gone back to VAGtech, having previously used some more convenient local garages, and its good to be back. I’ve always been pleased with the work carried out by Jon and the team, the car always felt and ran better whenever I got it back, something I never experienced with the other garages. The customer care and attention to detail is as good as I remember and the addition of a couple of courtesy cars is a definite bonus, I wont be straying again. I have used Vagtech for the last 3 years for all servicing and performance upgrades to my Golf R32. Having experienced both Dealer service and Vagtech I can honestly say that I would always choose Vagtech over a Dealer. Their technical knowledge, friendly approach, and pricing will always prevail. The nice part about dealing with Vagtech is Jon will always take time to listen to what you want, then talk through in detail what the best solution is , whether it is for upgrades or repairs. It is also nice to deal with like minded enthusiasts who take pride in what they do, rather than someone that is just doing their job! 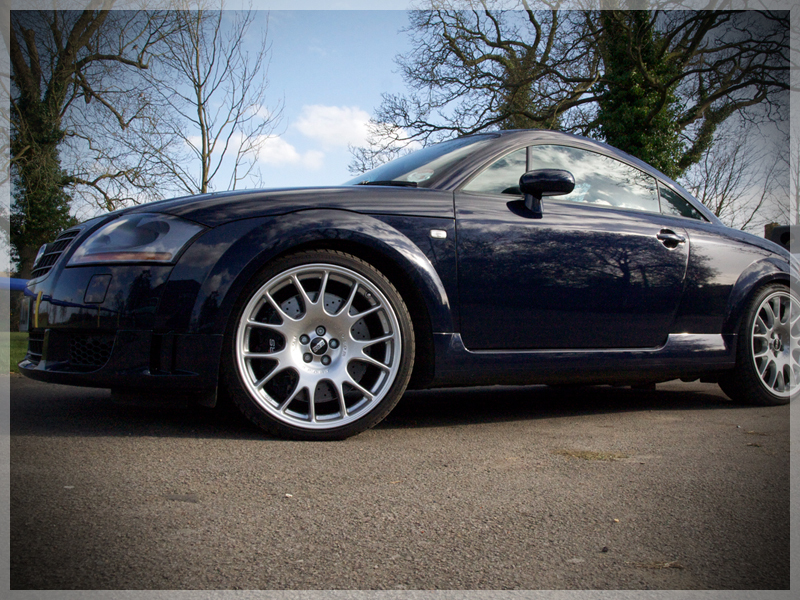 When my Audi TT engine blew to bits, I never dreamed of getting my car back on the road let alone the superb service and workmanship that I received when I approached Vagtech. From the minute I made contact to the minute I picked my car up everything was First Class. They were nothing but honest, trustworthy, reliable, 100% efficient and never once made me feel pressurized into making decisions I didn’t want or need to do. It was without doubt the top garage that the website had suggested. My car now runs like a dream and I would recommend Vagtech to anyone 10 out of 10. Choosing VAGTECH gave me the reassurance and peace of mind that my car was being professionally maintained by qualified technicians in a reliable and independent garage at a competitive price. They explained everything to me in words that a non qualified person would understand, I would always recommend VAGTECH to all my friends and family. Based in Milton Keynes United Kingdom VAGtech Limited offers servicing and performance tuning for all Volkswagen group vehicles with over 40 years of combined experience we are here to help. From fitting a side light bulb to building the project car of your dreams you will find VAGtech staff friendly, knowledgeable and dedicated to our customers. VAGtech Limited with over 10+ years as a key Revo dealer in Milton Keynes are able to offer the full range of Revo Technic products and services. VAGtech Limited are Revo Milton Keynes. Jon Watts a long time VW enthusiast and IT Professional, Jon has spent many years owning and preparing many different rare and iconic cars some of which you can see in the pictures on the right. Jon was looking for a new challenge and with his IT background and engineering degree started VAGtech Limited in 2003. Having been a customer himself for many years Jon knew what was needed and has run VAGtech Limited with the philosophy of striving to give the customer the best possible experience. Jon believes by educating and passing on knowledge, experience and expertise to the customer to help them enjoy their pride and joy and make informed decisions when looking to service and upgrade their vehicle. Jon has not lost his passion for cars, owning different cars and modifying is still a key part of Jon’s DNA. 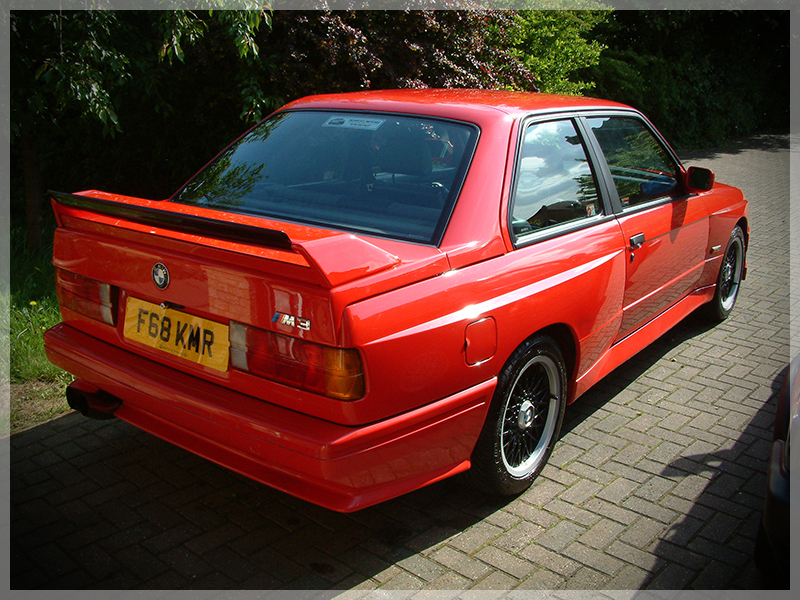 In 2002 Jon sold the E30 M3 Roberto Ravaglia to help finance to start up of VAGtech. In 2003 Jon built the MK2 Golf VR6, this led to VAGtech carrying out a whole string of MK1 and MK2 conversions in the early days with the odd MK2 Rally 1.8T for good measure. 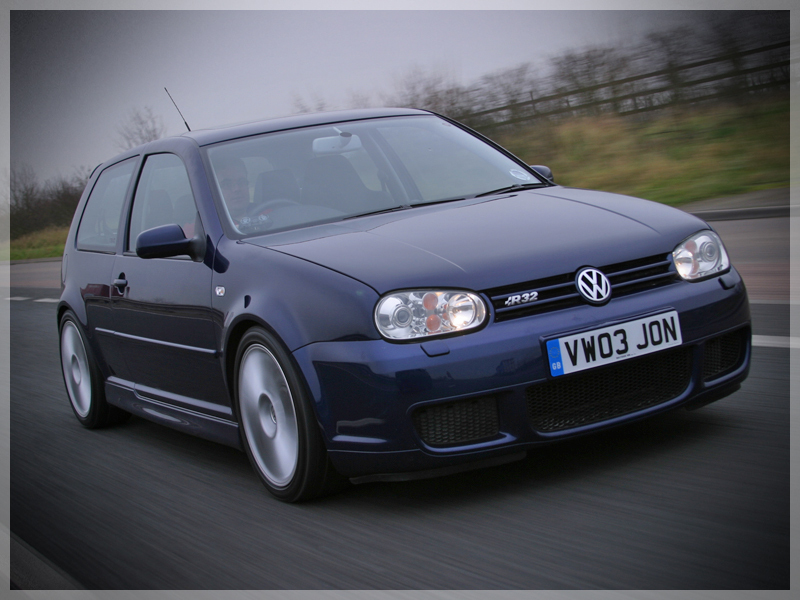 In 2005 VAGtech under the guidance of Jon Watts (Managing Director) built the world’s first right hand drive turbocharged Golf R32 as featured in August 2005 Volkswagen Driver Magazine. This car paved the way for VAGtech to build 13 turbocharged 3.2 V6 cars in the UK. In 2006 VAGtech built only the 2nd twin turbo charged Volswagen Beetle RSi in the world in conjunction with HPA Motorsports of Canada. Also in 2006 VAGtech built the first turbocharged 3.2 V6 TT DSG, winning both Saturday and Sunday Audi 4WD class at GTI International. In 2008 VAGtech built the MK4 Golf GTI with a full K04 turbo conversion R line bumpers and side skirts and full KW suspension. ECS stage 5 brakes as featured in Performance Tuner magazine. 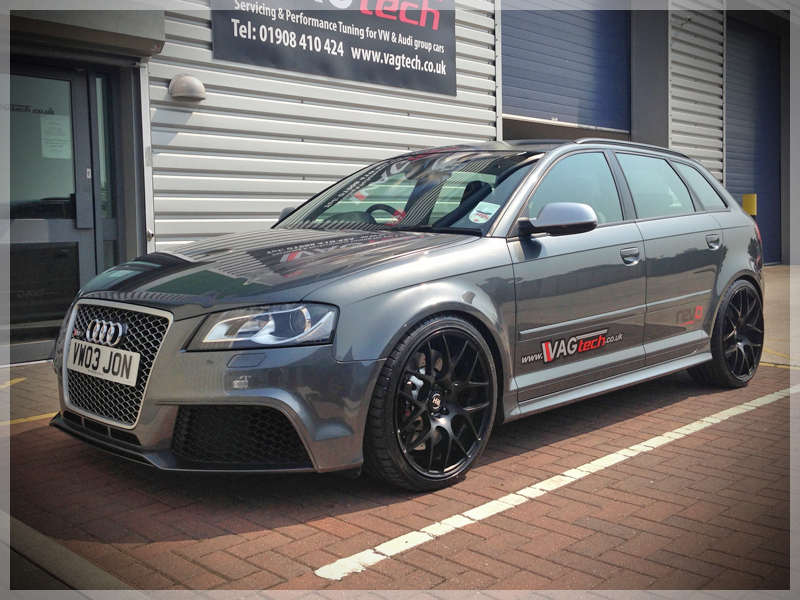 In 2009 Jon took delivery of the B5 RS4 a car he had always wanted to own, a low mileage very clean example was sourced and Jon and VAGtech went about some mild tuning and service work to put the RS4 in to tip top condition. In 2010 VAGtech moved into it’s new purpose build premises in Bletchley Milton Keynes after 7 good years in Soulbury. Vagtech now in it’s 12th year has expanded it’s team further enabling to service our ever growing customer base to the standard our customer have come to expect. In 2012 The VAGtech RS3 is delivered, over the next few years the car is developed and various tuning upgrades have been added. With 3 features in Audi Driver magazine this is the current VAGtech project car for Jon and the team at VAGtech. At GTI International in 2013 we ran a 12 second quarter mile in the RS3 in very hot conditions. What will be VAGtech’s next project car ? These terms and conditions are intended to contain all the terms of the agreement between us (VAGtech Limited the Company) and you (the Customer) relating to the repair, servicing or other work described on the invoice (“the Work”) to the vehicle identified on the invoice (“the Vehicle’) and/or the supply of goods, parts or other things to be supplied by the Company, whether or not in conjunction with the Work (“the Goods”). If you wish to rely on any amendment oraddition you should ensure it is confirmed in writing by one of our duly authorized representatives. You warrant that you own the Vehicle or are duly authorized by the owner to enter into this Agreement for the work to be done on it on these terms. Any test drives carried out by VAGtech Ltd or staff members of VAGtech Ltd are entirely at the customer’s risk. Our staff are insured to drive customer cars. All cars must be taxed, insured and have a valid MOT at all times when on VAGtech Ltd property. We will not drive any cars unless they are known to be 100% legal for use on the road. Cars will only be insured by VAGtech Ltd while work is being carried out inside the workshop. VAGtech Ltd cannot test drive cars for prolonged periods of time. If the car has an intermittent issue the customer has to drive the car until the issue is testable by VAGtech Ltd.
VAGtech Ltd does not carry out any bodywork repairs. VAGtech Ltd does not buy or sell cars. VAGtech Ltd is not able to supply service information on a vehicle previously worked on unless proof of ownership is provided. An estimate is our considered approximation of the likely cost of the Work and/or Goods, and is valid for 14 days from when we send it to you. Any estimate is based on the published price for the Goods involved at the time of the estimate. If the manufacturer or other supplier of the Goods changes the published price after the date of the estimate, we will notify you of any consequential increase in the estimate. If the increase will be more than ten per cent (1 0%) of the total estimate, you may give notice within 14 days cancelling this Agreement. If we do not receive notice of cancellation within this period, the estimate will be amended as proposed. Unless otherwise agreed in writing, if it appears during progress of the Work that the estimate will be exceeded by more than ten per cent (1 0%) of the total, we will notify you and will not continue with the work unless you expressly authorise us to do so. If you have left the Vehicle with us for an estimate but have not accepted the estimate, or have refused it but have failed to collect the Vehicle, within 7 days of the date of the estimate or (if later) the date of cancellation, we may charge you, at our rates in force at that time, for the storage of the Vehicle from the end of that period. All estimates are exclusive of any applicable Value Added Tax, unless otherwise shown. We shall be entitled to sub-contract all or any part of the work, but will be responsible for the quality of the sub-contractors’ work. If for any reason we do not carry out the work in full, we will charge you only for Goods actually supplied or fitted and a reasonable amount for any Work actually done. All payments must be made in cash or by a UK credit/debit card. We do not accept cheque’s. We do not accept payment in cash over £3,500. We are entitled to retain the Vehicle and/or Goods until you have paid for the Work and/or Goods (and storage charges if applicable) in full. Within 3 months of being notified that the work is complete and/or the Goods are ready for collection, we may (after giving you 7 days notice of our intention to do so and if you have not paid the full amount and collected the Vehicle and/or Goods before such notice expires) sell the Vehicle and/or Goods, deduct the amount owing to us (including statutory interest, storage charges and the costs of sale) and pay the balance to you. We will retain all parts replaced during any Work done, except for any to be returned under warranty or service exchange arrangements, until the Vehicle is collected, and will be free to dispose of them as we see fit unless you do specifically ask for them when collecting the Vehicle. The Goods will continue to belong to us until you have paid for them in full. You will, however, be responsible for any loss or damage from when they are delivered to you, and should insure accordingly. It is the responsibility of the vehicle owner to ensure the vehicle is driven in accordance with local road laws and where applicable details of alterations made to the vehicle are given to any relevant insurance company and/or vehicle regulations body. Vagtech Ltd or any of its employees cannot be held responsible for any damage or issues caused by the use of its tuning products. Please ensure your wheel nuts are tight and you have your locking wheel bolt key. We will carry out the Work with reasonable care and skill, and warrant it will remain free of defects in workmanship for a period of 3 months or 3,000 miles, whichever occurs sooner, from the date the Work is completed. However, this warranty will not apply if the Vehicle is involved in an accident or if and to the extent that a defect is caused or worsened by you (a) failing to inform us promptly of the defect and allowing us promptly to examine the Vehicle and endeavor to remedy the defect; (b) misusing or neglecting the Vehicle or using or permitting it to be used for racing, rallying or similar sports; (c) failing to comply with instructions from the manufacturer or from us concerning the treatment of, maintenance and care of the Vehicle and/or Goods or to have it/them serviced in accordance with the manufacturer’s instructions; (d) fitting the Vehicle, or permitting it to be fitted, with parts or accessories which have not been approved by the manufacturer, or (e)altering the Vehicle and/or Goods, or permitting it/them to be altered, in any manner which has not been approved by the manufacturer. There are no warranties on any modified car parts fitted to a customer’s cars. All OE standard parts fitted to a modified cars will not carry any manufacturer’s warranty or guarantee. We will sell the Goods with the benefit of the manufacturer’s warranty. The manufacturer’s warranty is additional to your statutory rights, and is not affected by any change of ownership of the Goods. Remedial work under the manufacturer’s warranty may be carried out by any other dealer in the EEA authorized directly or indirectly by the manufacturer, who may repair or replace any defective Goods or (if he considers repair or replacement uneconomic) refund an appropriate part of the price you paid for them. Except where you are acting as a consumer, and except for fraud or for death or personal injury resulting from our own negligence, we limit our liability for any breach of this Agreement to the amount you have paid for the Work and/or Goods and expressly exclude liability for loss of profit, goodwill or contracts and for any indirect, consequential or economic loss. You should remove any items of value and not related to the Vehicle as we will not accept liability for loss or damage to these which is not caused by our own negligence. Items where the lifetime of the component is or can be influenced by driving style and external factors will only be considered under the terms of the Warranty for a period of six months or 6,500 miles (whichever is soonest). Beyond that limit, the defects must be classified as wear and tear and will not be covered by the Warranty. When a wearing part is changed under this policy it must be explained to the customer that the service life depends on the type of use of the vehicle and individual style of driving. As a result the same component cannot be claimed for again should it wear out a second time, unless a positive manufacturing defect is identified as the cause. After six months or 6,500 miles, Warranty submissions will not be accepted for the items previously detailed unless a positive manufacturing defect can be identified as the cause. We will accept the retum of any Goods which you did not order specifically, provided that you return them, in the same condition as when supplied, within 5 working days of delivery, produce our original invoice and pay (at the rate current on the date of return) our handling charges for returned Goods. that we owe you, and just pay you the net amount. Any notice given under this Agreement must be in writing and sent by email or post to the address of the person to whom it is addressed as set out on the invoice, and shall be deemed to have been received in due course of email or post. By leaving your car at VAGtech Ltd, or having work undertaken by VAGtech Ltd, you agree to all the above terms & conditions.